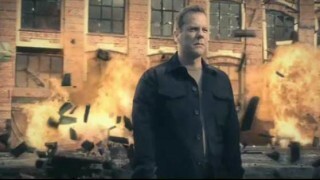 Cool montage from FOX of Kiefer Sutherland (as Jack Bauer) in promotional footage throughout the years. [..YouTube..] great stufff off the charts ! [..YouTube..] awesome collection! anyone know what that song is? i want that song! [..YouTube..] Epic! All hail the power of bauer. [..YouTube..] MY FAVORITE HERO OF ALL TIME! [..YouTube..] AWESOMENESS put into one and a half minutes! [..YouTube..] @SarahHameron can look forward to the movie, movies? My favorite hero too !! [..YouTube..] The shots of him in sunglasses reminds me of the guy from CSI: Miami. the clock in that last shot is at 4.15! [..YouTube..] Does anyone know what the background music is? I wonder if it’s stock music or an actual song. [..YouTube..] Where I can buy this song? [..YouTube..] Great but I don( like the music! [..YouTube..] YUMMMMMMM!!!! Monday nights will never be the same! 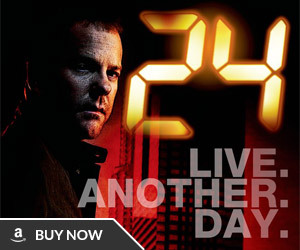 [..YouTube..] What a great compilation of promos of Jack Bauer. Gonna miss that guy. [..YouTube..] My parents remember shows (they are in their 50s now), and still reminisce on them, and buy them on DVD. This is my show for when I am in my 50s. [..YouTube..] One you go Jack, you never go back! [..YouTube..] My favorite hero of all time !! And for me the ultimate hero of the begining of this century !! [..YouTube..] Is there a site where I can download all these great promos? [..YouTube..] WILL there be a movie? 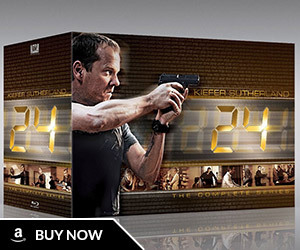 [..YouTube..] Where can I Download the 24 Promos for season 7 & 8????? [..YouTube..] Got the minutes wrong. You can’t count the ad breaks! 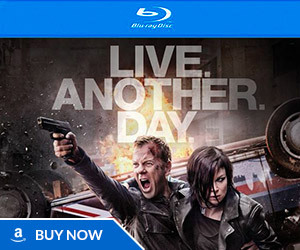 Without the ad breaks, it’s about 7680 minutes, or a little over 7800 if you include Redemption. [..YouTube..] i’m on the computer again. [..YouTube..] @WatchMyAwesomeVideos I would like that too. Where did you get the Season 7 & 8 ones?